Industrial lubricants are defined as the fluid used to lessen the wear and tear of materials and also to reduce friction. Industrial lubricants can be either water based or petroleum based. Their primary function is to avoid metal to metal contact amongst the tools or finished components. Industrial lubricants exhibit good corrosion protection properties, excellent demulsibility and help extend the equipment life. It is used in variety of equipments to yield a particular performance level. They help achieve higher productivity and also improve efficiency of machineries. The industrial lubricants can be used in variety of applications such as automotive, industrial machinery, mining, hydraulic and many others. 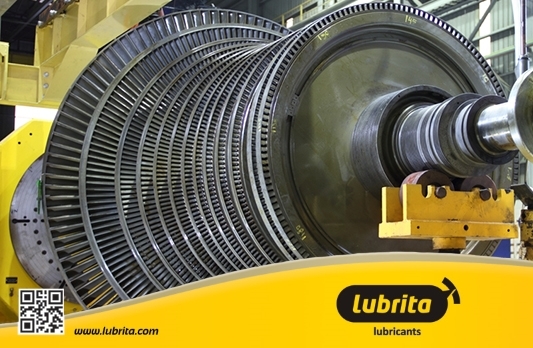 The selection of lubricants depends on variety of factors such as exposure to harsh chemicals, temperature, etc. However, the global industrial lubricants market is anticipated to witness a moderate single digit growth in the forecast period. The global industrial lubricants market is expected to witness a high growth rate in the upcoming years due to the growing automotive industry. The increasing manufacturing of vehicles is one of the major factor contributing to the growth of global industrial lubricants market. Growing demand for low viscosity fluids in automotive sector is expected to boost the industrial lubricants market in the forecast period. The increasing demand for grease in industries to continue smooth working of machineries is anticipated to help the global industrial lubricants market grow in the upcoming years. The growing food industry is also expected to be a major growth driving factor in the global industrial lubricants market. Rapid industrialization in the developing countries is also anticipated to drive the global industrial lubricants market. There are specific standards in each region pertaining to the mandatory minimum standards for the imported and manufactured industrial lubricants. Investments in research and development along with proper expansion can help the global industrial lubricant market players grow. The hydraulic lubricants account for the maximum share in the global industrial lubricants market. Metal working fluids as well as industrial lubricants together accounts for major share in the global industrial lubricants market. The automotive industry contributes to the maximum share in the global industrial lubricants market. The industrial sector also accounts for a major share in the global industrial lubricants market. The global industrial lubricants market is segmented into seven key regions on the basis of geography as North America, Latin America, Western Europe, Eastern Europe, Asia Pacific, Japan and Middle East and Africa. Out of these, North America and Western Europe contribute maximum share to the global industrial lubricants market. Asia Pacific is anticipated to witness the maximum growth rate in the global industrial lubricants market in the near future. India itself accounts for a major share in the global industrial lubricants market.